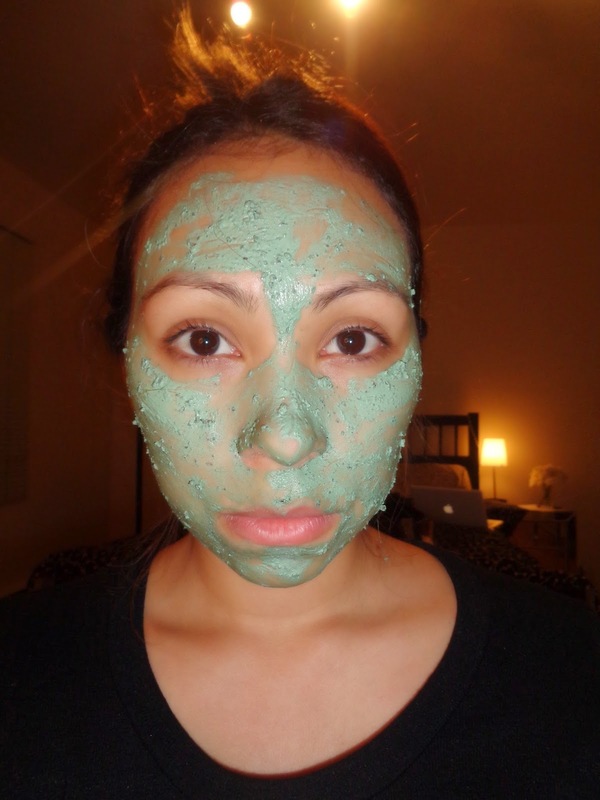 I've been looking for a deep cleansing mask that was going to pull out all the dirt and pores from my skin. 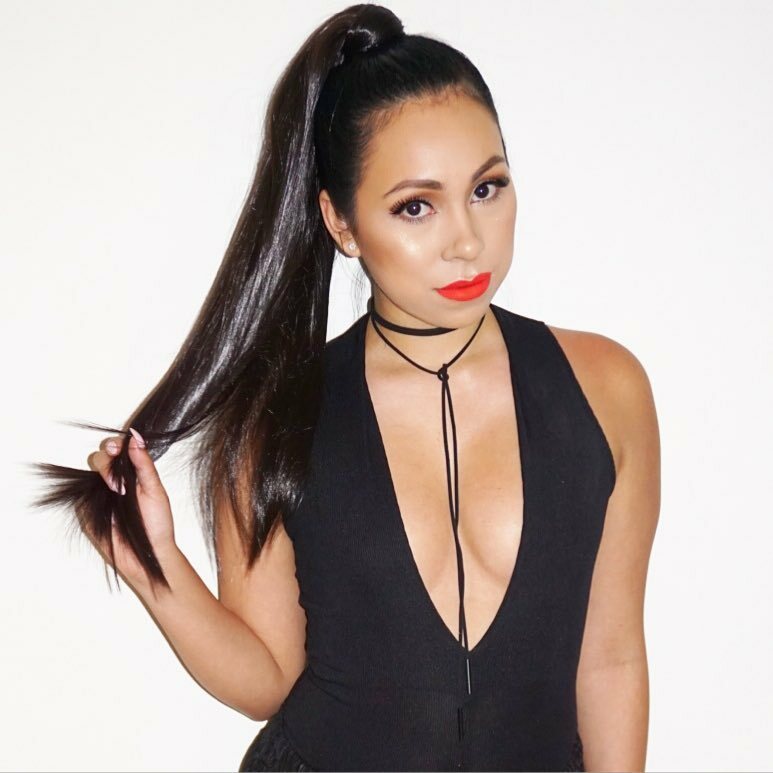 The first product I was looking into was the Glamglow Supermud treatment. The reason I didn't get that one was because it was really pricey. 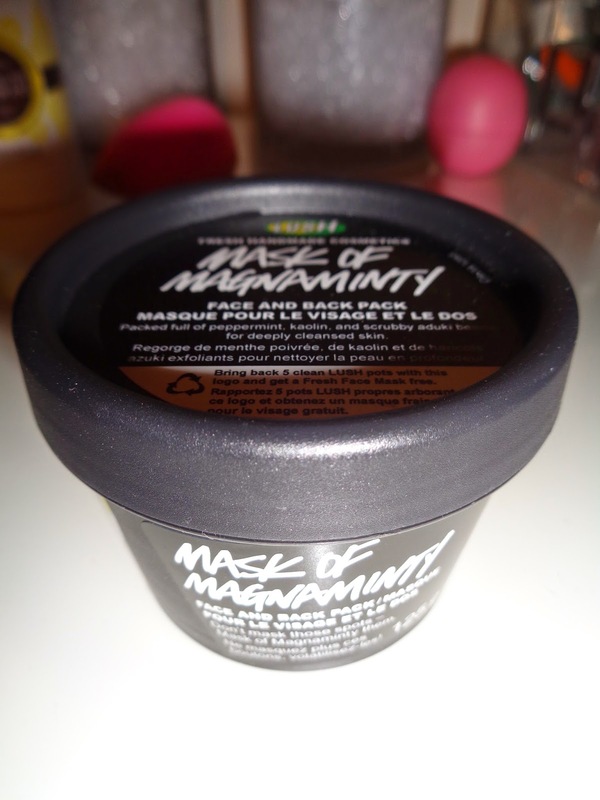 I will eventually try that one but for now I decided to to go with LUSH Mask of Magnaminty. I read a bunch of reviews and people said they were comparable, I guess ill have to try both to see if its true. 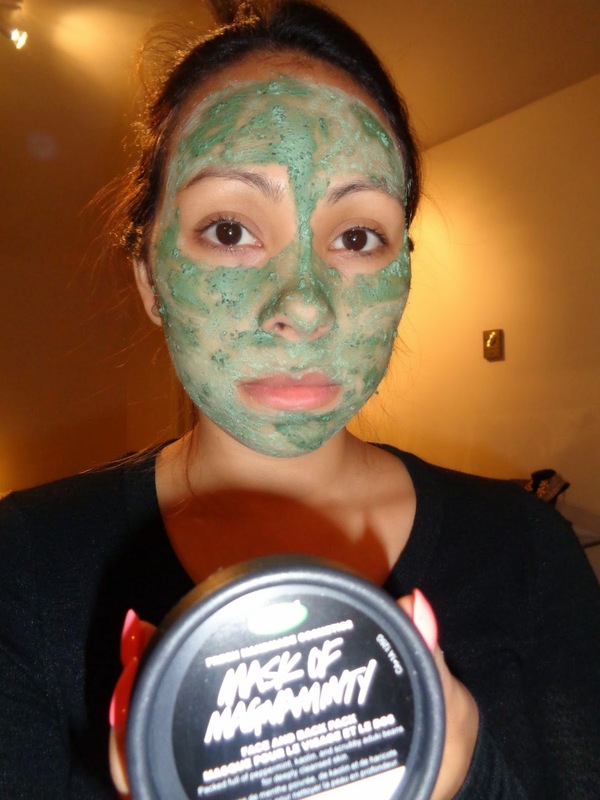 Mask of Magnaminty is a deep cleansing face and back mask. I purchased it from the LUSH. They come in 2 sizes. The smaller size which is the one i got. That one 125 g for $12.95. The big size is 315 g and that is $24.95. Lush products are natural handmade products for that reason the shelf life for this is 4 months. It smells like mint chocolate and is a green color mask. China clay and peppermint reach deep down to pull out all of your impurities. You will feel a tingling sensation. It literally feels like everything is surfacing to the top. If you are sensitive you might not like the feeling. 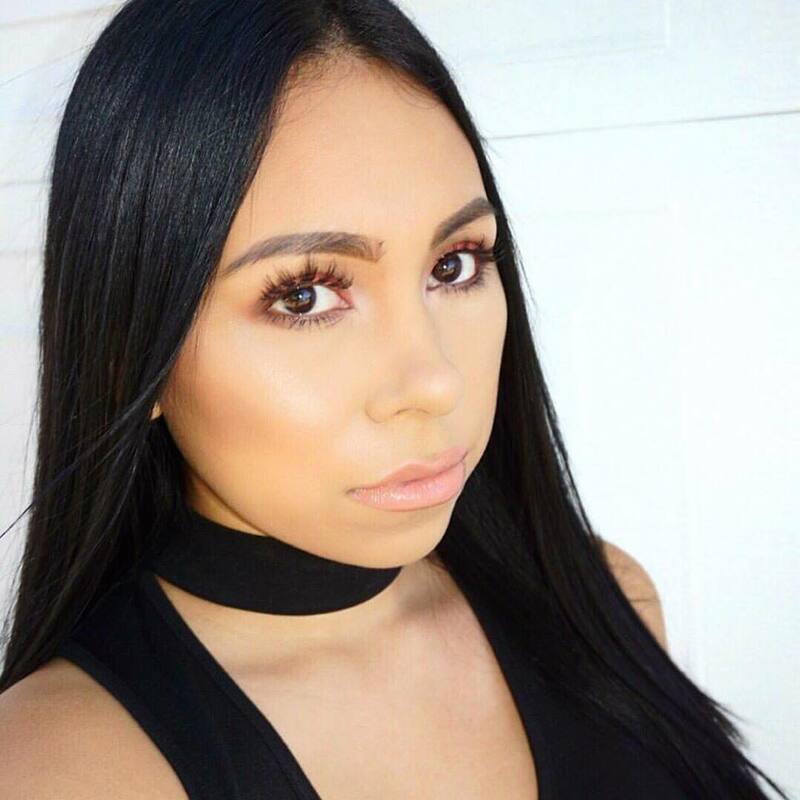 Its the same kind of feeling you get when you use a lip plumper. Some people just cant handle it. As for me I quite like it, feels like its getting the job done. There is also Aduki beans which help exfoliate the skin, Vanilla which helps calm redness and honey to soothe. I've been using this mask 1-2 times a week and been totally loving it. After using so much makeup throughout the week, its nice to do a deep cleansing. I apply all over the skin avoiding my eyes and mouth. I like to apply it with a q-tip so it doesn't get under my long finger nails. I then leave it on for about 10-15 minutes until its starts drying. At this point your face will feel very tight and a bit weird when you make facial expressions. To remove it I rinse it off with some warm water. This is the part where the Aduki beans come into place, while rinsing they exfoliate your skin getting rid of flaky dry skin. After everything is done I finish off by applying my moisturizer. I've also heard of people using this as a spot treatment if you don't feel like you need it all over your face. After about 10 minutes once its started drying. You can the color difference.